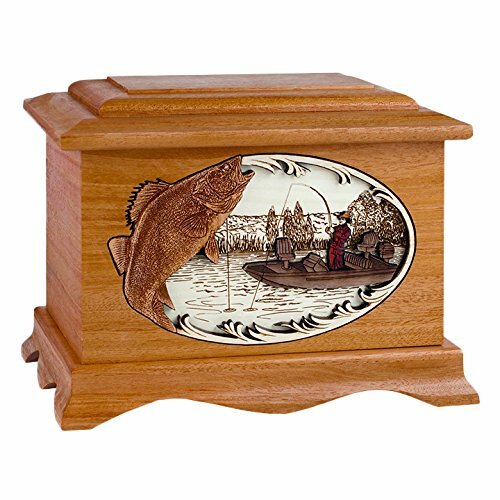 This urn is made from the finest solid hardwoods with a three dimensional artistry on the front showing a walleye fishing boat scene set into the Mahogany hardwood urn. The three dimensional scene is created by laser cuts and engravings. The wood used to create the three dimensional scene on the front are also from actual hardwoods that are assembled on a laser etched panel to create a three dimensional affect.